MoCap recording sessions with choreographer Francesca Foscarini. Recordings data: Francesca Foscarini, Beatrice Amadeo. The "gestural dialogues" between the two subjects will be used to study synchronization / recurrency of the movement qualities. "Watch Inside - intuition training"
The seminar is part of the preparatory activities for the design of scientific experiments on analysis and movement quality prediction of small groups (joint actions), foreseen in the EnTimeMent project. Francesca Foscarini will also participate in MoCap (motion capture) recording sessions, of individual and group movement quality examples. "Modular architecture for game sonification"
The seminar presents the past projects Julien Bloit have been involved in, focusing on the architecture for various sonification related projects. Further, practical examples of methods and techniques for the real-time processing of audio features are presented, deriving a common core toolset for research and production. The goal is to provide an introduction to techniques and software platforms for possible adoption in the EU H2020 FET PROACTIVE EnTimeMent project. As a software engineer and scientist, Julien Bloit is driven by his background as a musician to apply new media technology to innovative practices in the field of performing arts and interactive experience. His scientific background includes temporal sequence modeling, phoneme recognition, audio feature extraction, model selection, and causal inference. He developed several music software and technologies adopted in artistic projects and institutions, including Ircam (Centre Pompidou, Paris). 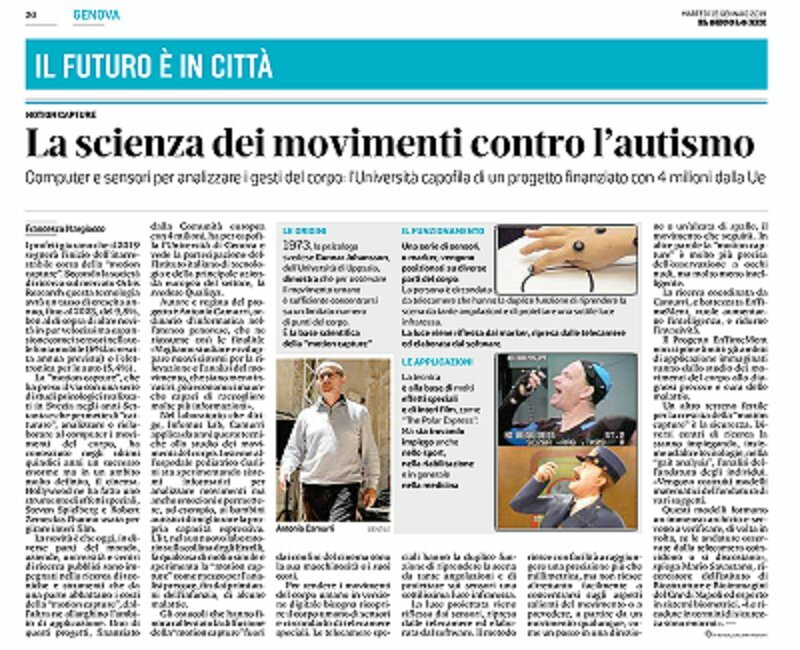 Newspaper article on "Il Secolo XIX"
A first newspaper article on EnTimeMent appeared on "Il Secolo XIX", on Tuesday 15 January 2019, by Francesco Margiocco. 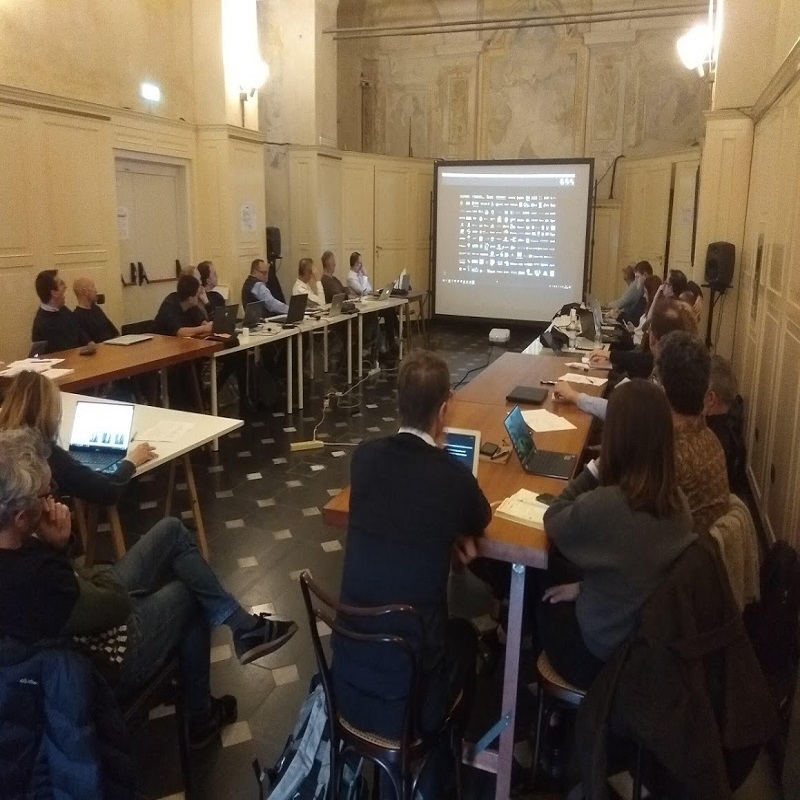 The project Kickoff meeting was held on 10-11 January at University of Genoa, Casa Paganini - InfoMus Research Centre.